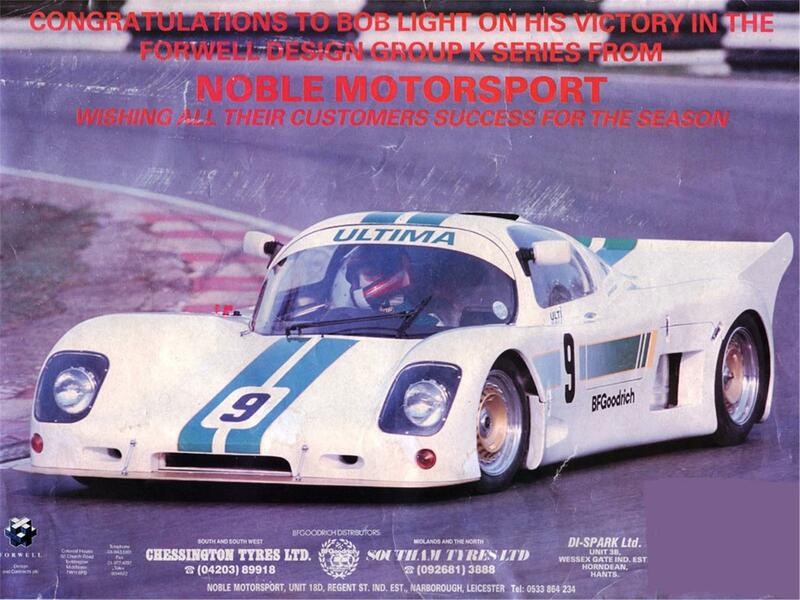 Lee Noble, acclaimed automotive engineer and designer, sets up Noble Motorsport Ltd and launches the Ultima Mk1. 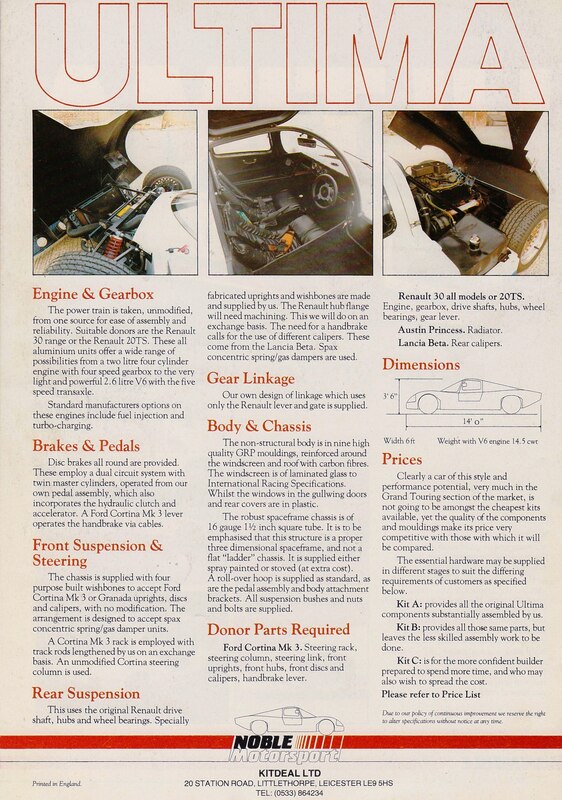 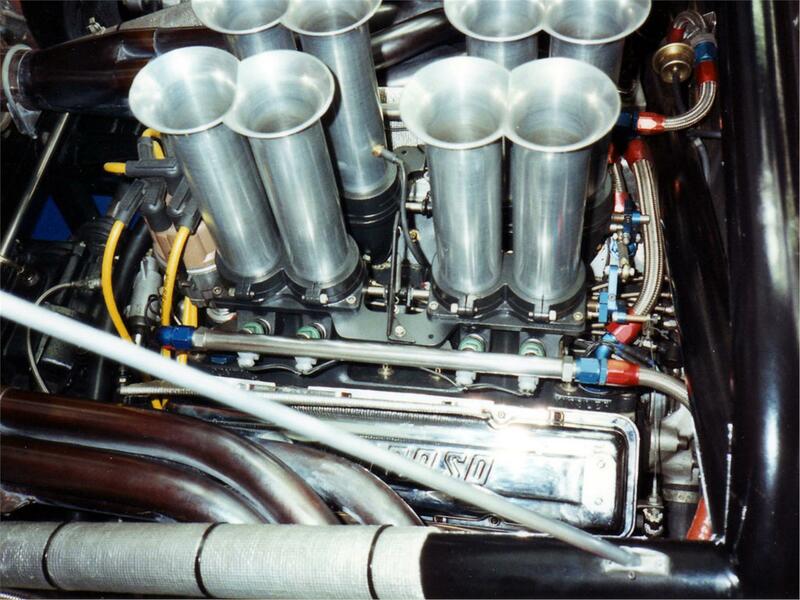 The Ultima Mk1 had a square tube space frame chassis, Ford Cortina front uprights/brakes/steering, Austin Princess radiator and Renault front uprights/brakes on the rear. The V6 engine and transmission were taken from a Renault 30. 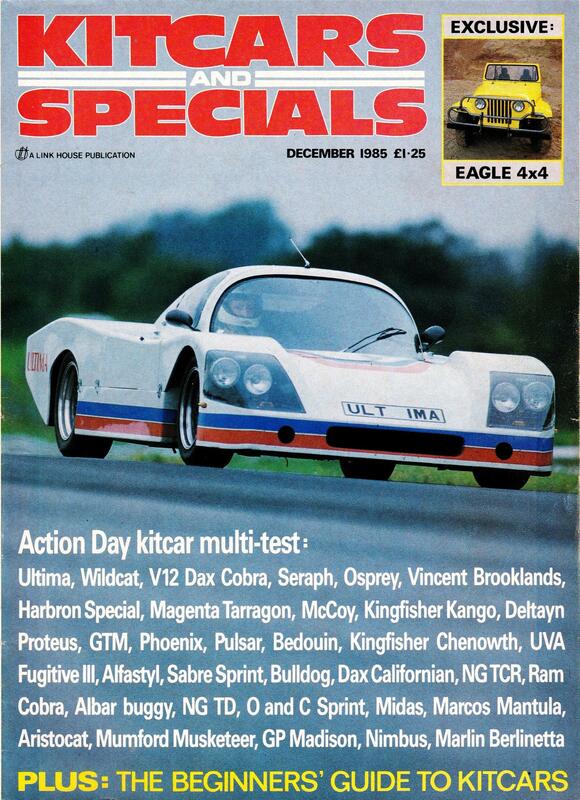 The car was first seen in the "Kitcars and Specials" magazine. Before any Mk1 cars were sold, the Ultima Mk2 was developed using 99% of the Ultima Mk1 demonstrator car, but with the problematic Renault rear suspension replaced with Noble Motorsports’ own alloy uprights. 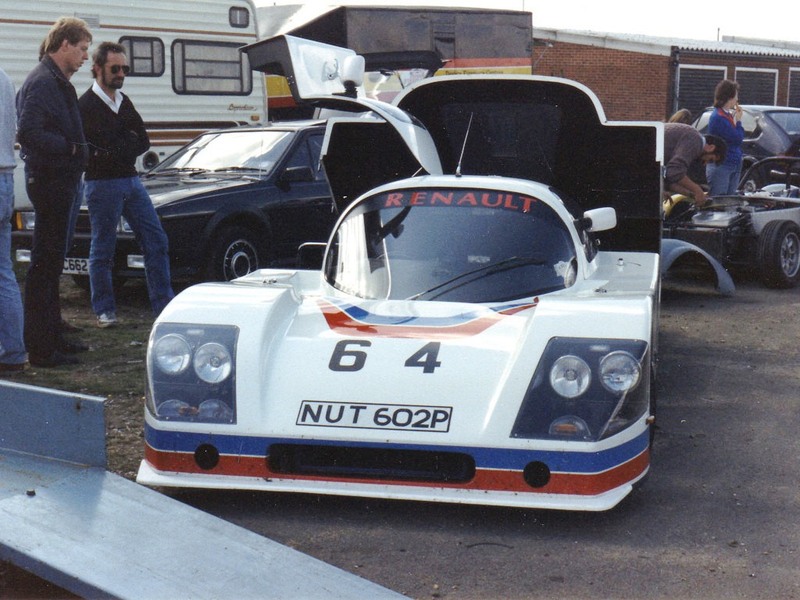 These were machined to accept Renault wheel bearings and Lancia Beta rear brakes. 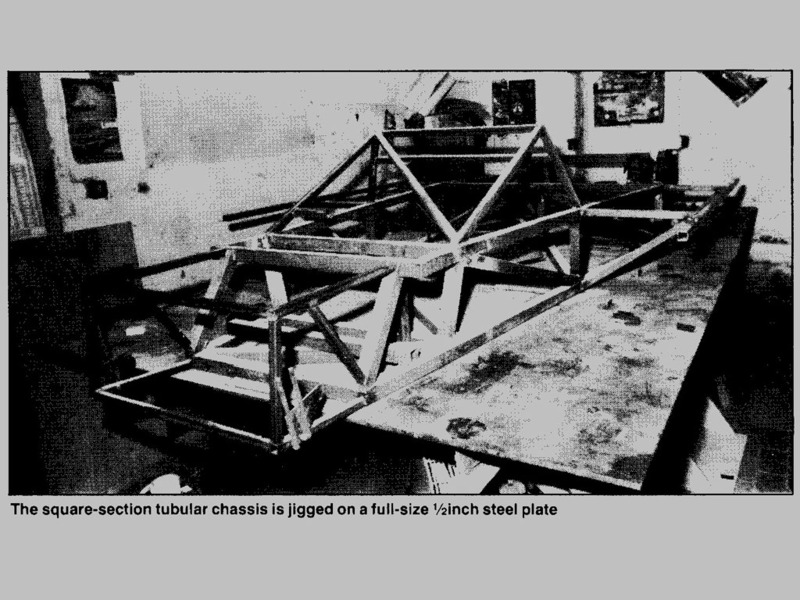 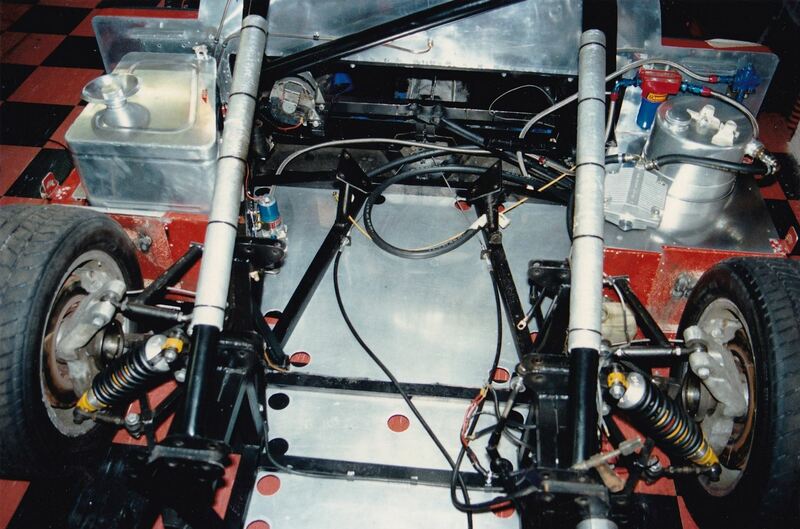 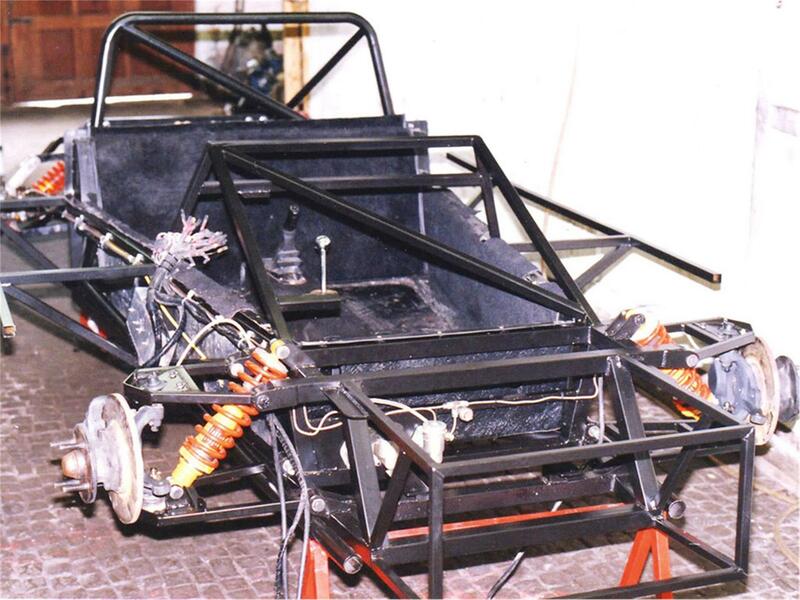 Development of the chassis for the Ultima Mk2. 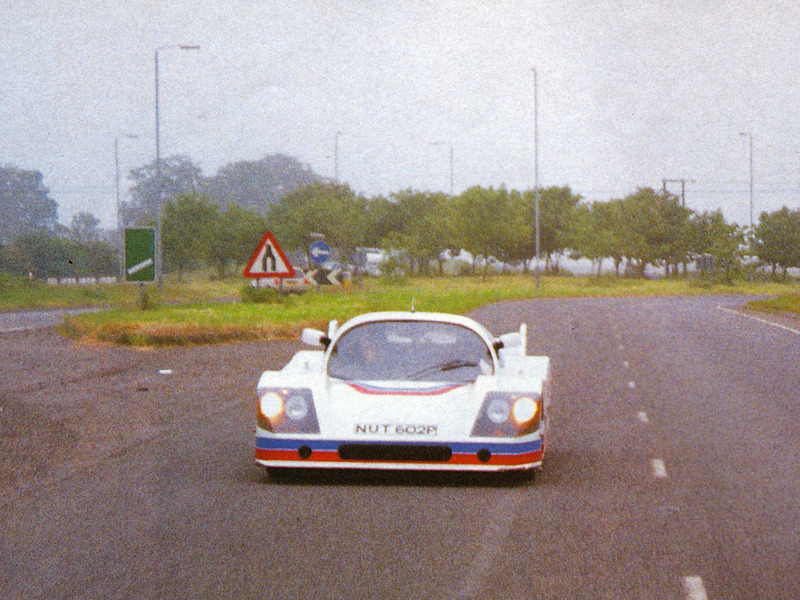 The Ultima MK2 is featured in a promotional article and photoshoot in Sports Car Monthly Magazine alongside a genuine Porsche 956 race car. Ted Marlow becomes Noble Motorsports first customer for an Ultima by purchasing an Ultima Mk2 with Ford 3.1litre V6 Essex power. 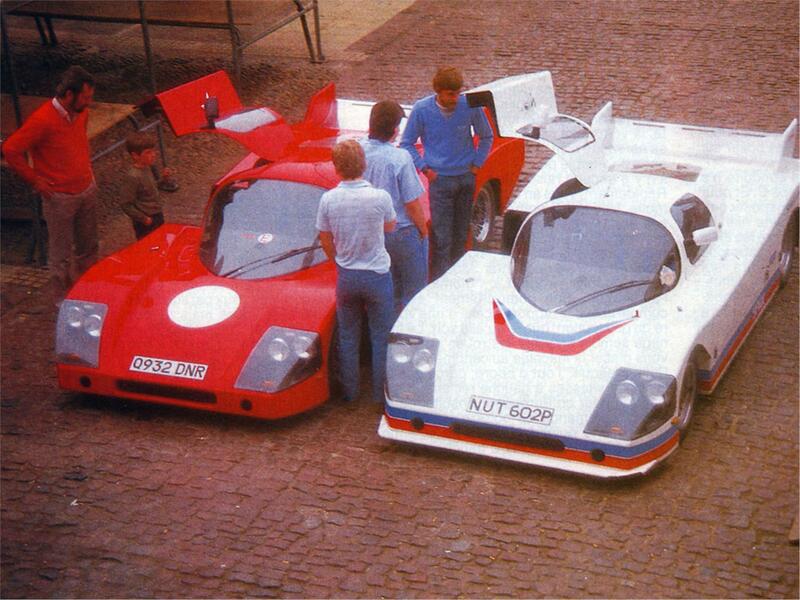 Lee Noble and Ted Marlow promote the cars in a photo shoot at Newark market centre. 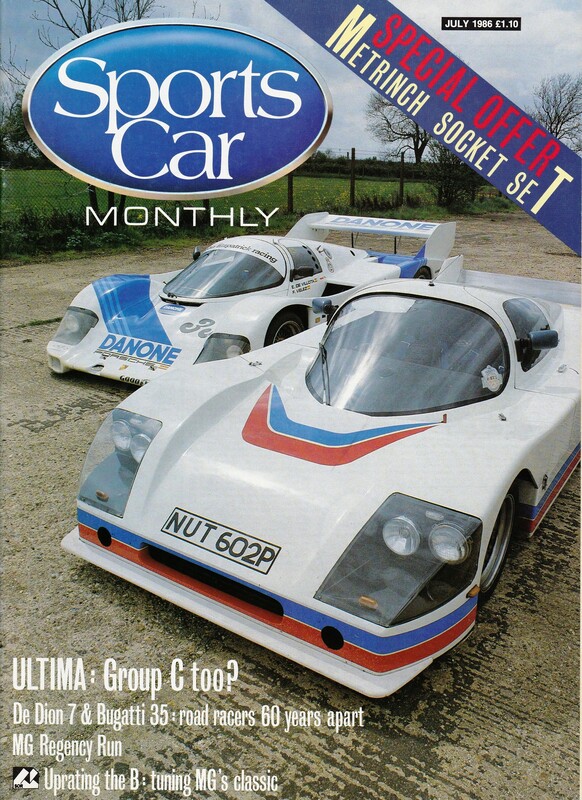 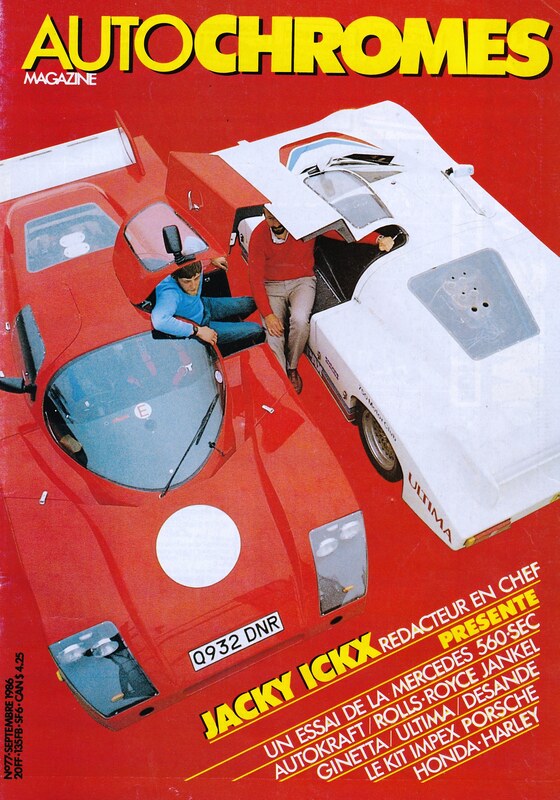 The press start to take a keen interest in the Ultima- Lee Noble and Ted Marlow promote the Ultima in Autochromes Magazine as a front cover feature. 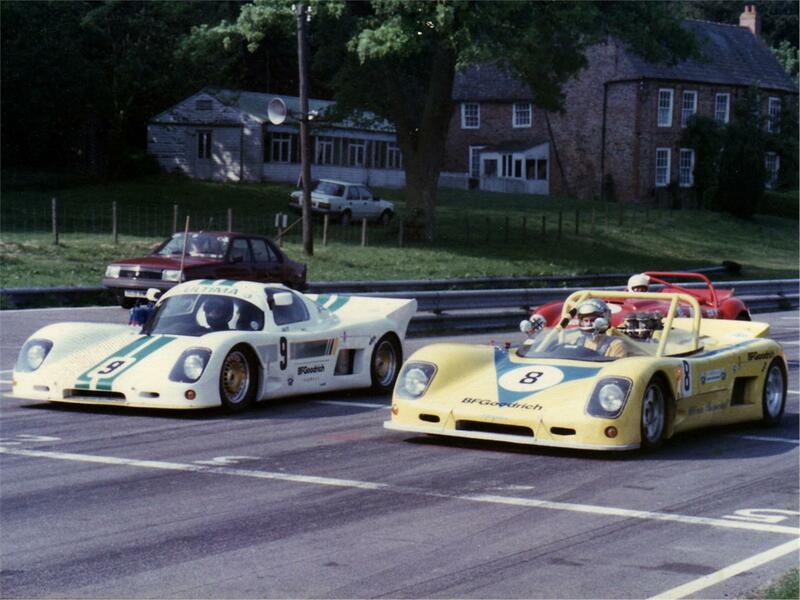 Lee Noble and Ted Marlow go on to race their cars in a race series sponsored by Ted Marlow's Civil Engineering company. This is Ted Marlow's Ultima Mk 2 at Mallory Park and Ted Marlow cutting Lee Noble off at the Mallory Park hairpin in a debate over 1st and 2nd positions. 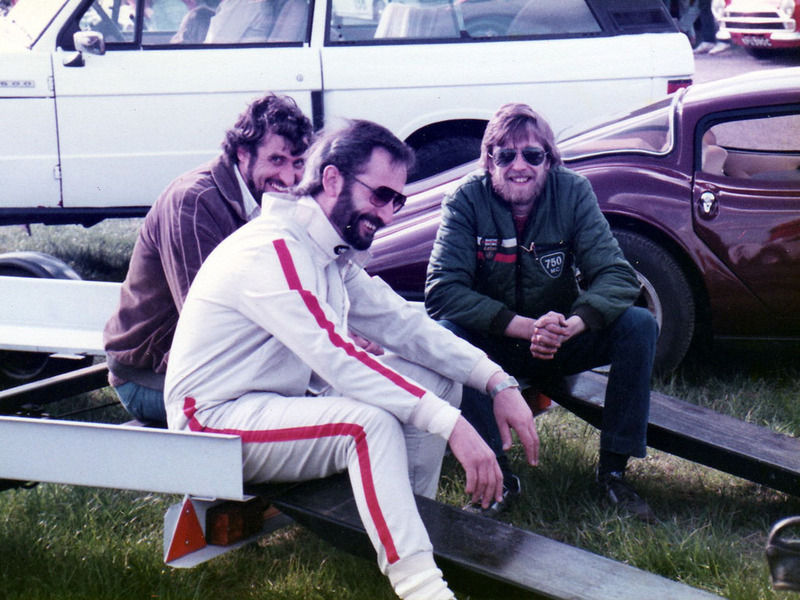 After race discussion between Ted Marlow (front) and Lee Noble (rear) several races later once the red mist had lifted. Lee Noble and Ted Marlow share many race wins and lap records, and dominate the race series. 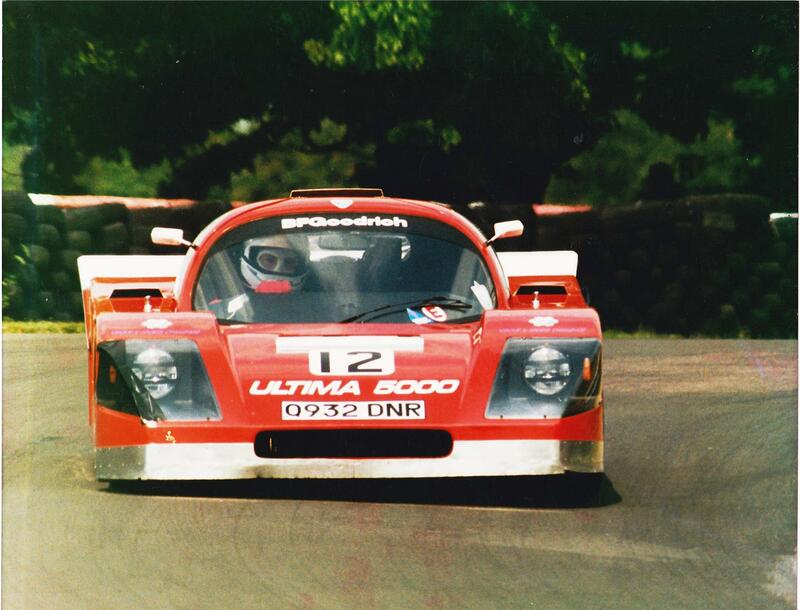 Lee Noble goes on to win the overall championship in the debut year and for two years in succession. 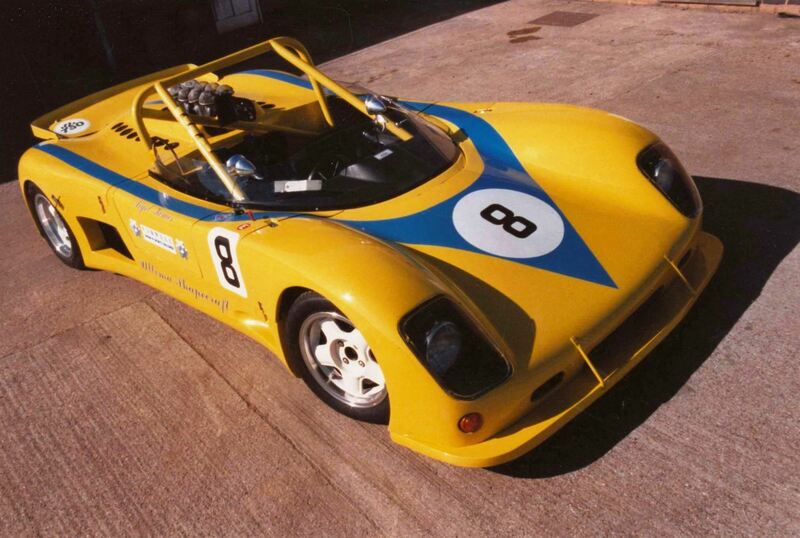 Ted Marlow re-engineers his Ultima Mk2 to accept a small block Chevrolet V8 coupled to a four speed Porsche transaxle along with revised suspension and bodywork. 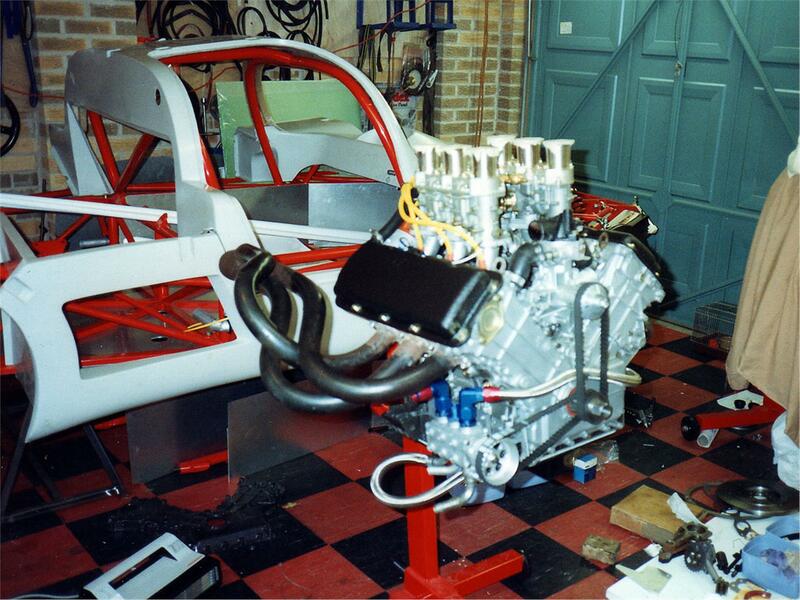 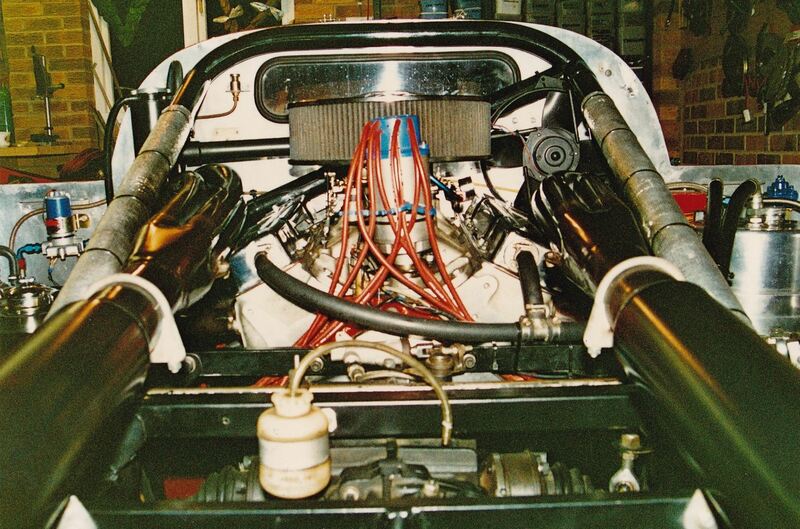 Ted Marlow fits a small block Chevrolet V8 Formula 5000 based engine into his Ultima Mk2. 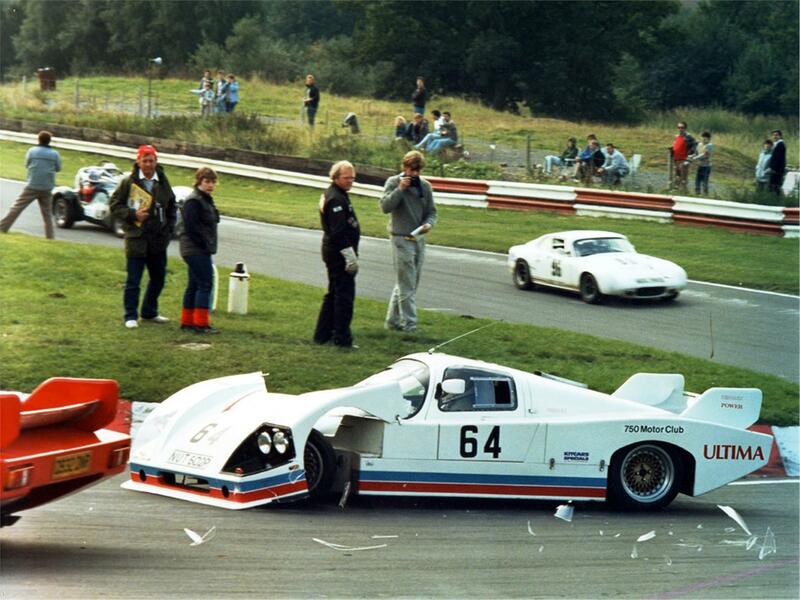 Ted Marlow decides to modify the rear bodywork of his Ultima Mk2. Ted Marlow's Ultima Mk2 records many race wins in a race series now sponsored by Forwell Designs. 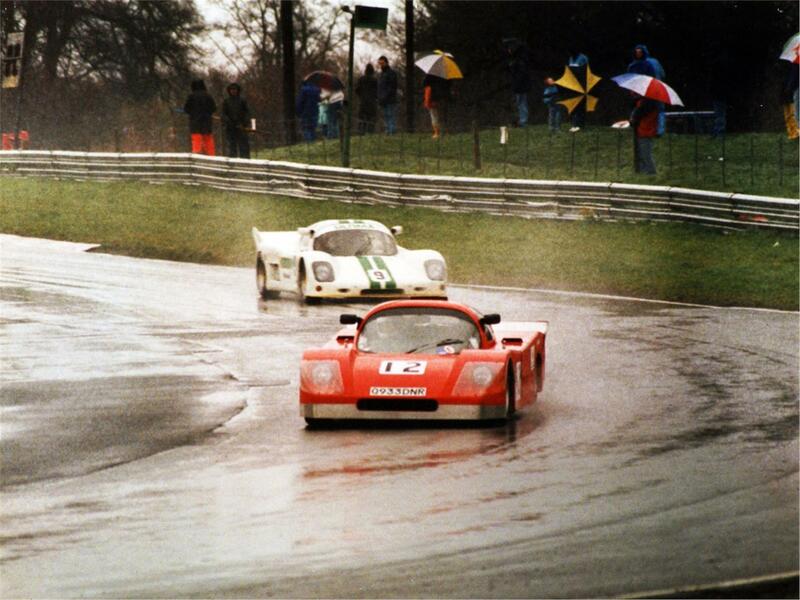 Ted Marlow wins at Oulton Park in heavy rain. 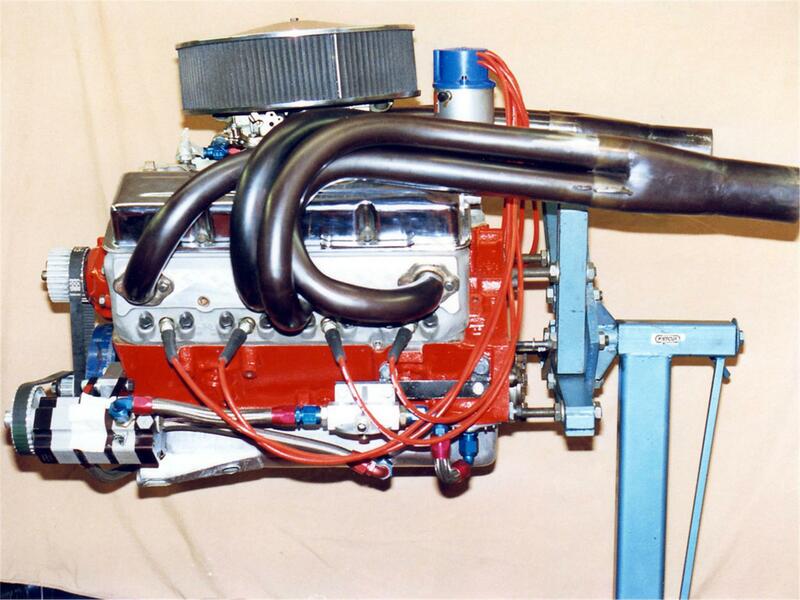 Ted Marlow builds a small block Chevrolet 377cu ins (6.2litre) V8 using a bowtie block and Kinsler injection to give a higher torque figure and improve corner exit speeds. 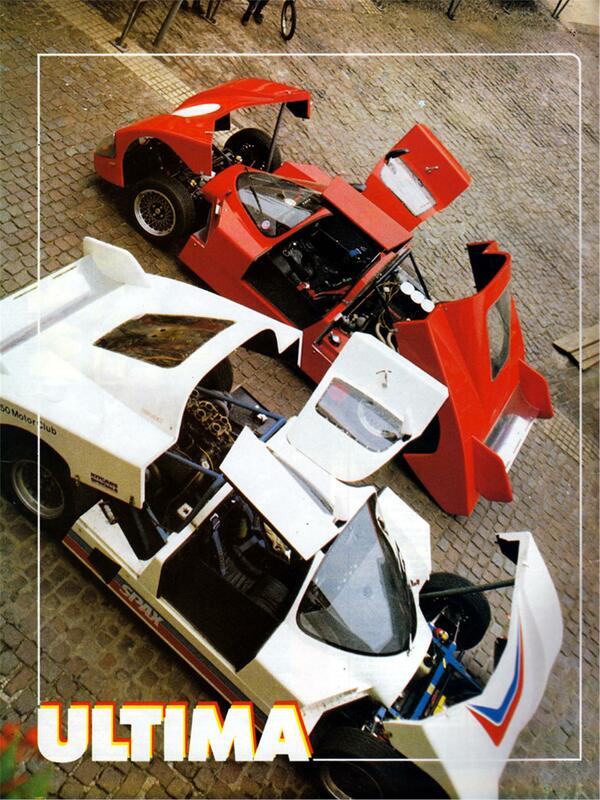 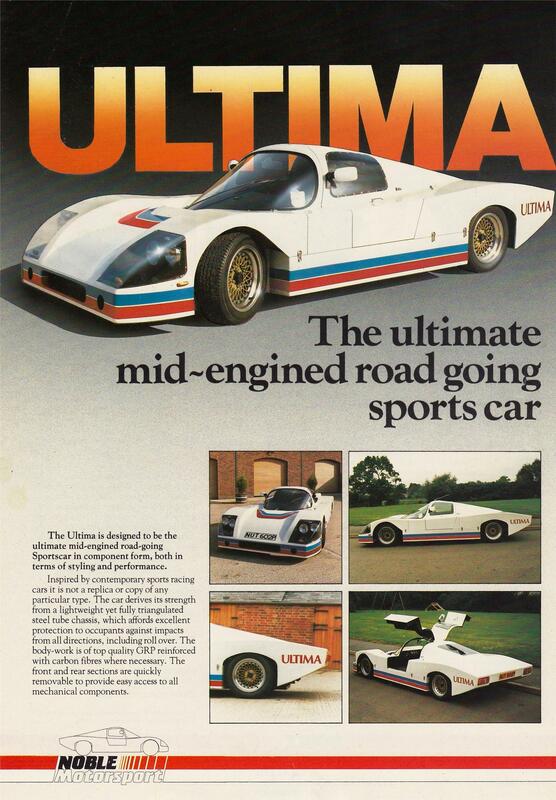 A TOTAL OF ONLY 13 ULTIMA MK2 VEHICLES WERE SOLD WORLDWIDE. 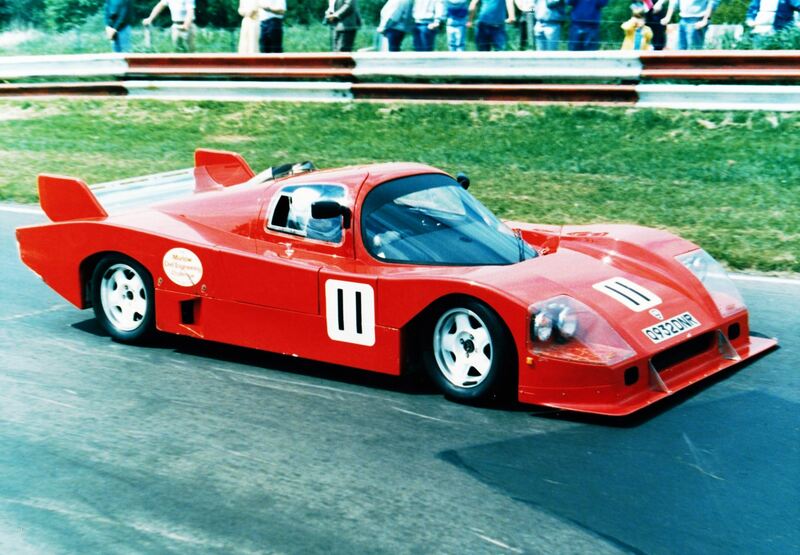 Noble Motorsport Ltd commissions a new Ultima body to be designed by an aluminium fabrication specialist. 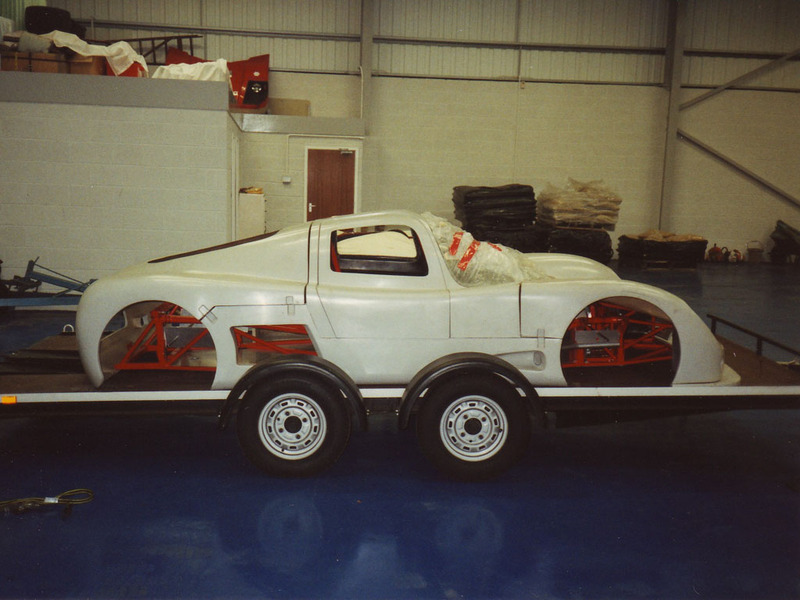 From this first aluminium body new fibreglass moulds are created. 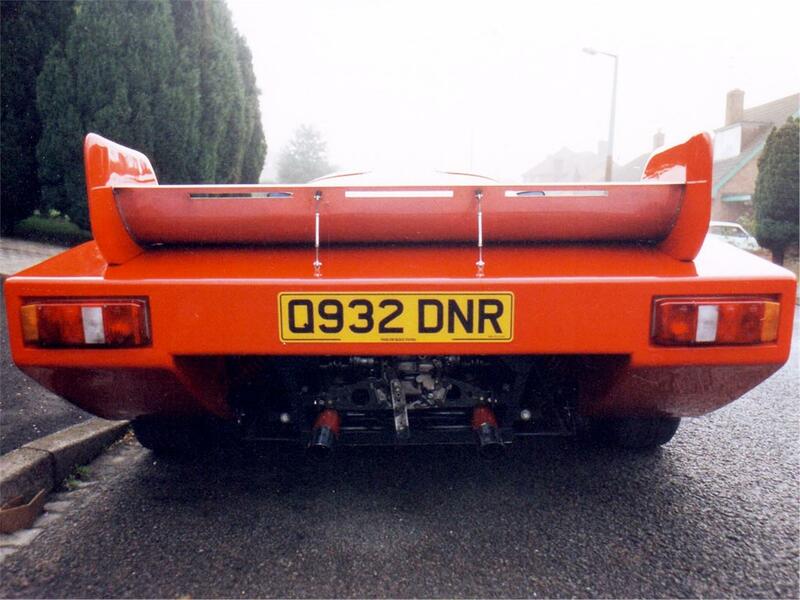 This shape becomes the Ultima Mk3. 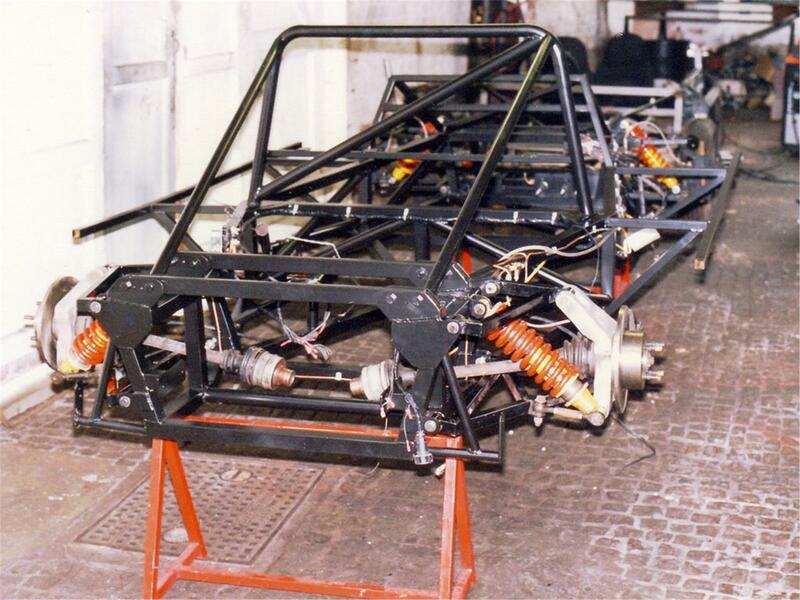 Noble Motorsport Ltd designs a new space frame chassis and the Ultima Mk3 is launched still only offered with V6 Renault power and donor parts. 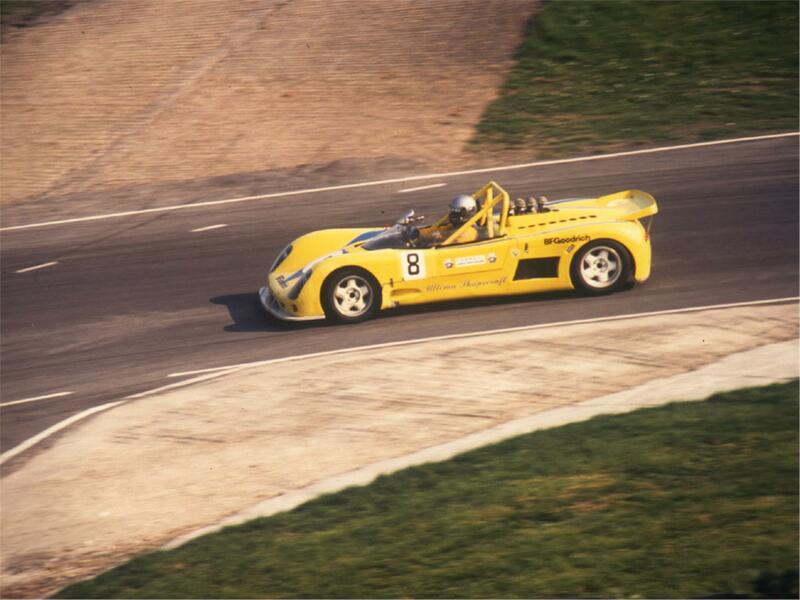 An Ultima Spyder prototype is built by Noble Motorsport Ltd in race form only. 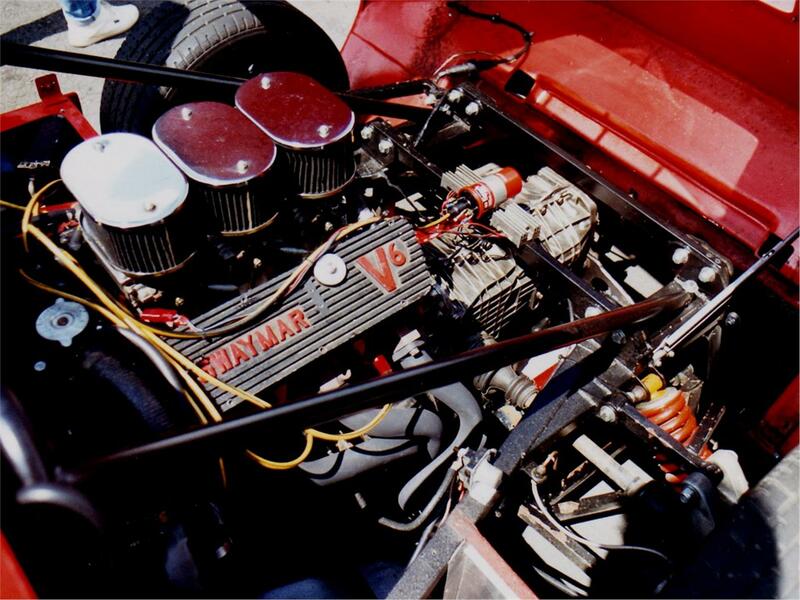 Other customers copy Ted Marlow's philosophy and fit small block Chevrolet V8 engines into their Ultima racecars after witnessing the staggering performance envelope of Ted's re-engineered Ultima equipped with Chevrolet V8 power and Porsche transaxle. 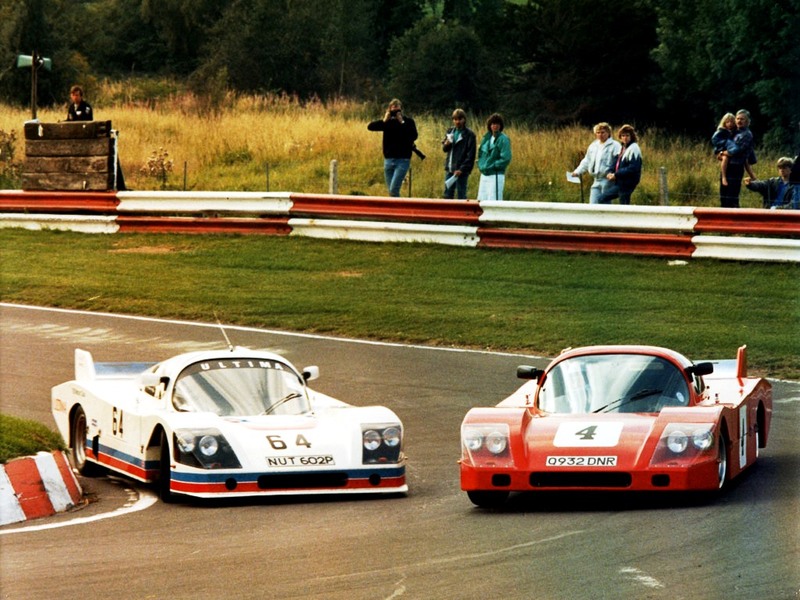 Lap times tumble and the speed differential compared to all the other competitors is starting to be frowned upon on safety grounds. 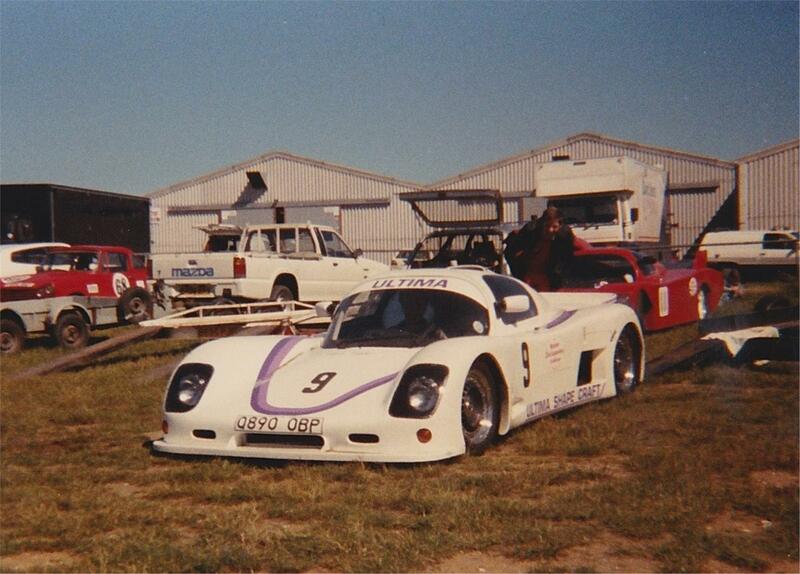 Chevrolet V8 powered Ultima cars dominate races for five years. 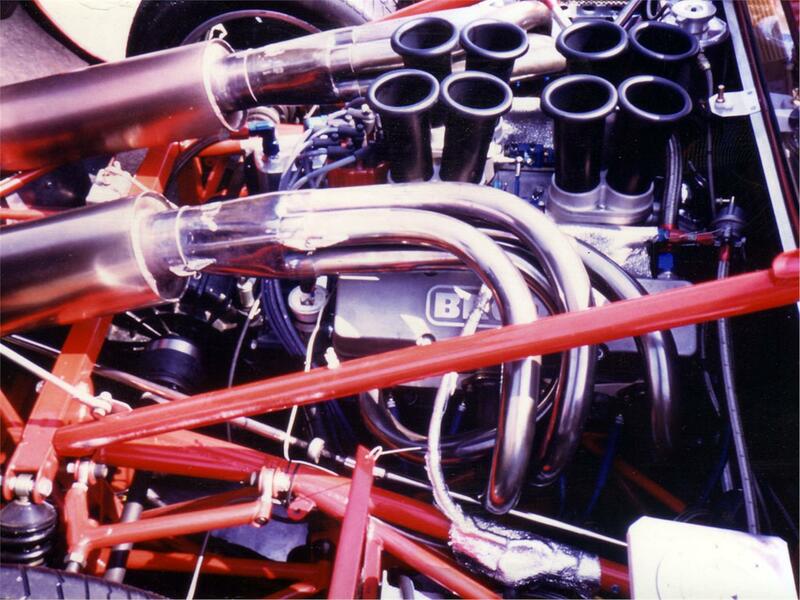 Taking championship victories every season. Ultima cars hold the outright lap record for any car on road tyres (race regulations stipulated only road tyres could be used) on every circuit they race on. 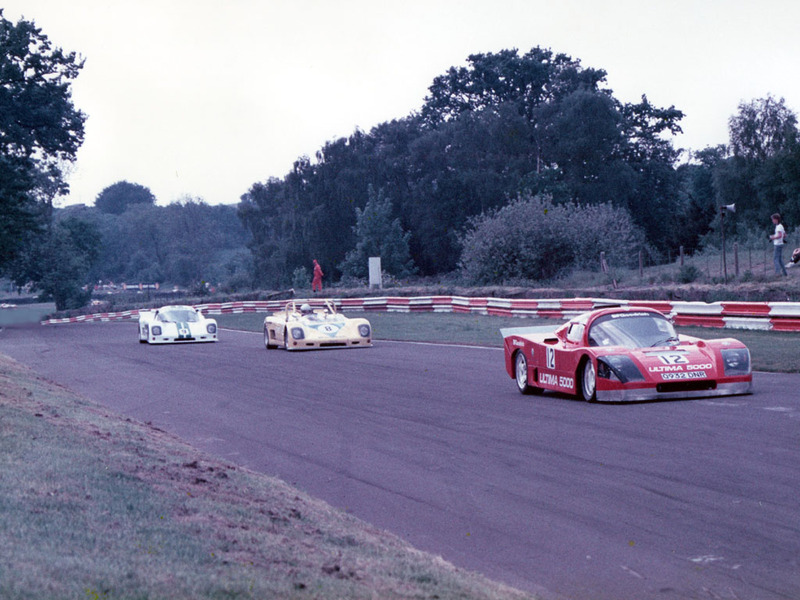 Ted Marlow's Ultima Mk2 leads an Ultima Mk3 and Ultima Spyder prototype into the Mallory Park hairpin on lap one and go on to record yet another Ultima 1-2-3 victory. 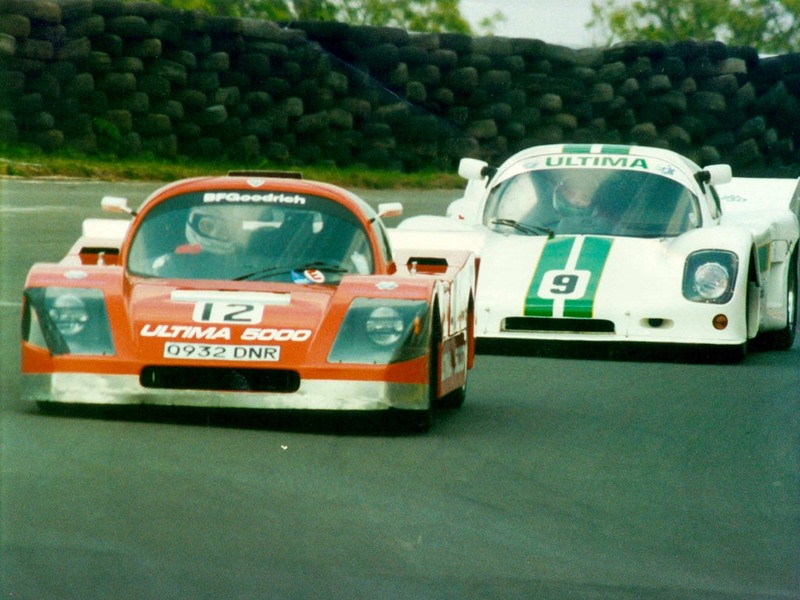 Ultima Mk2 and an Ultima Mk3 lead the race. 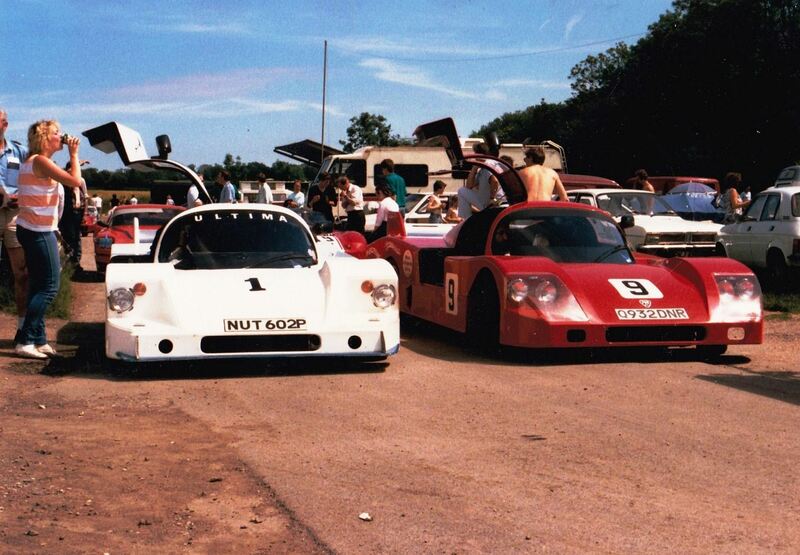 Ultima Mk3 and Ultima Spyder prototype start race on the front row of the grid again at Cadwell Park. 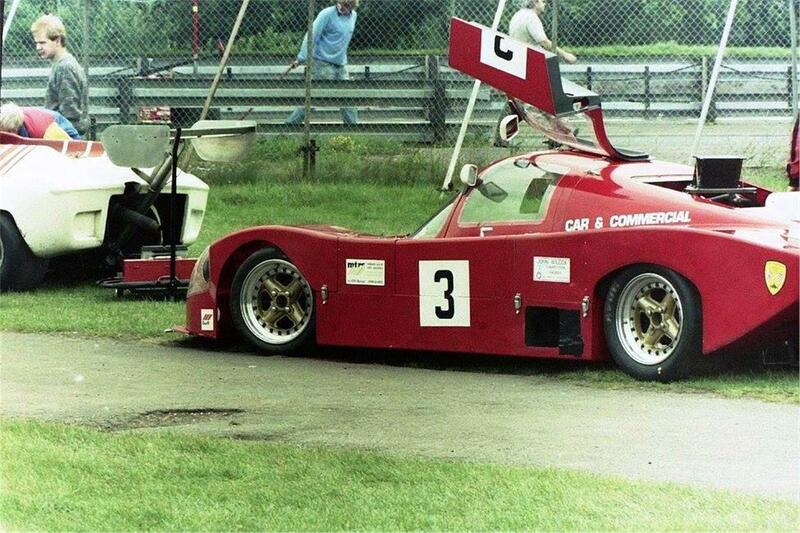 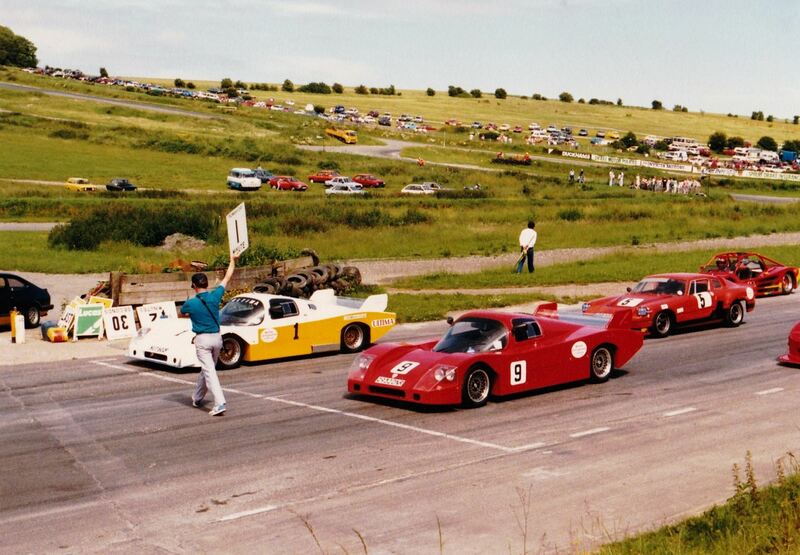 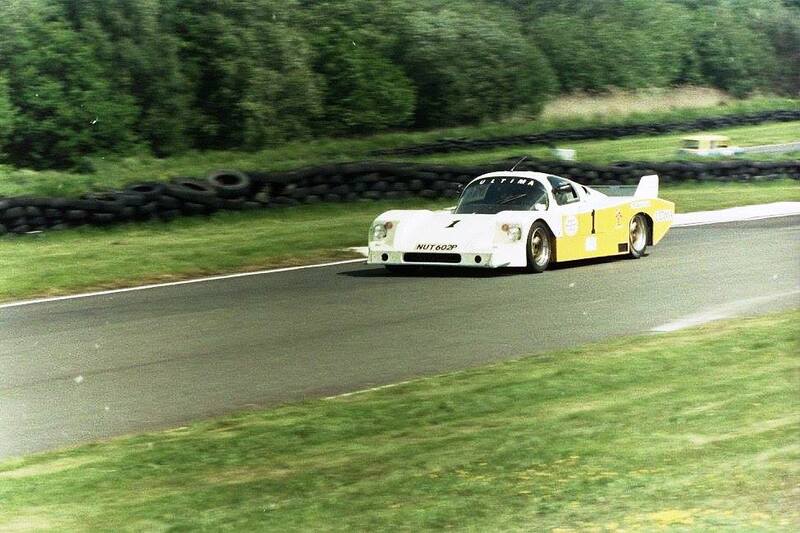 Ultima Spyder prototype at Cadwell Park going on to win the race. 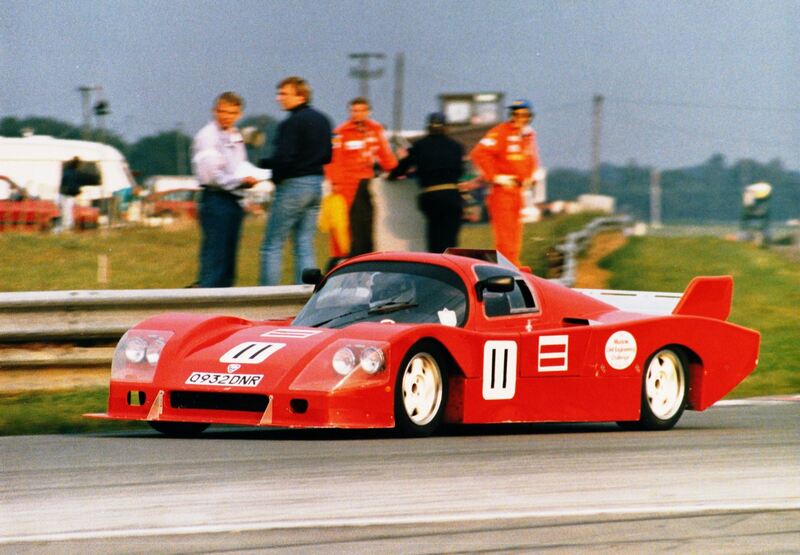 The Ultima marque would often lap the entire field in a race at least once. 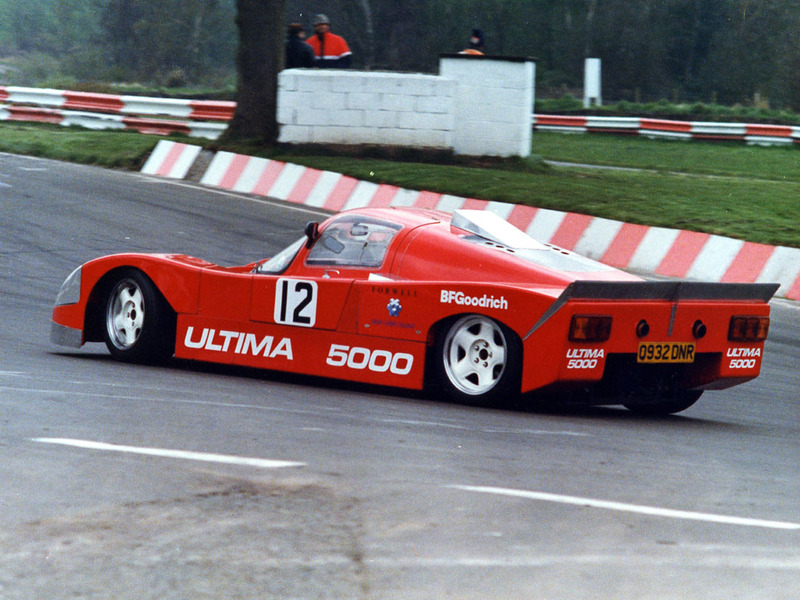 Ultima becomes a victim of its own success by effectively being banned from racing for being too quick and therefore deemed unfair to other competitors. 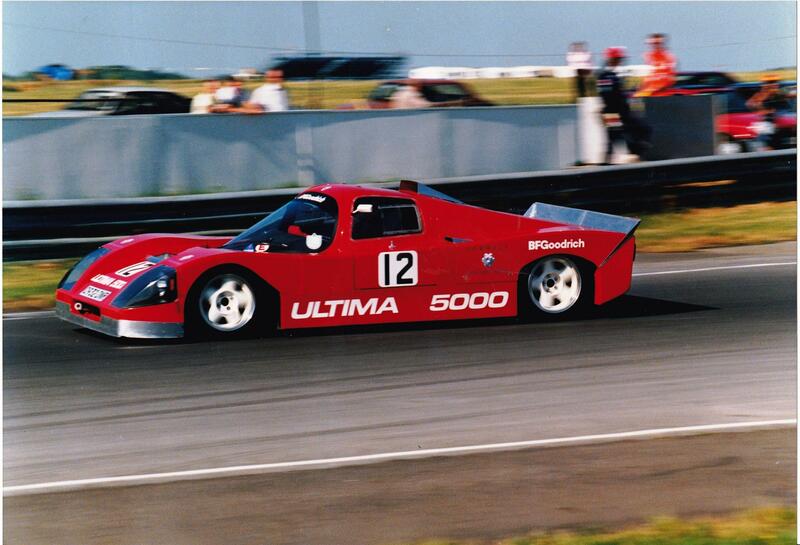 Ted Marlow purchases an Ultima Mk3 in component form for road use. 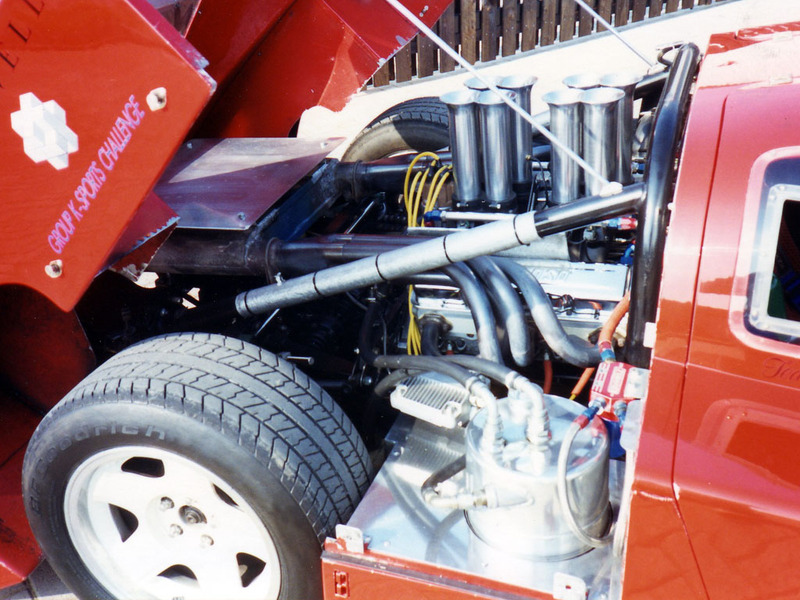 Ted Marlow re-engineers his entire Ultima Mk3 kit to accept a small block Chevrolet 350cu ins (5.7litre) V8 with Motec injection coupled to a Porsche 4 speed transaxle.